Collaboration in marketing makes good business sense and is a core value at Break The Ice Media. Working together, partners with similar goals, values and visions can leverage combined resources to create marketing programs bigger than they can do on their own. 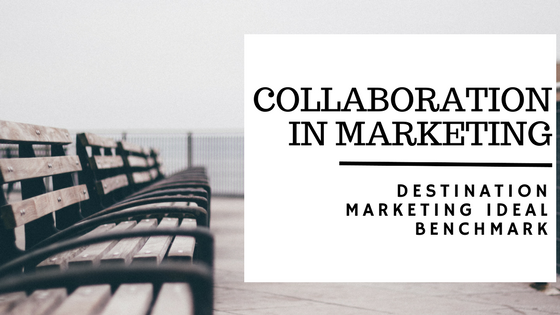 We have several clients who understand the many benefits of collaborative marketing. They can provide ideal benchmarks for those looking to build their own collaboration. Catskills Trout Tales is a grassroots campaign started by a group of businesses in the Catskills vacation region of NYS. Their goal is to extend the tourist season back into the spring by highlighting the fly fishing that made the region famous. The campaign encourages visitors to explore the forests, waters, and historic communities at the start of trout season. In April and May, a collection of 100 organizations and events offer lots to do, see, hear and taste. These include expos, workshops, guided fishing expeditions, festivals, custom cocktails, and trout dinners. The campaign marketing strategy seeks to build awareness and inspire travel by deploying earned media, social media and digital marketing tactics. Learn more about this creative grassroots campaign on Episode 65 with Leigh Melander on our travel & tourism podcast, Destination on the Left. Country Byways is a collaborative marketing program created by the tourism offices of Genesee, Wyoming, Livingston & Orleans counties, all located between Niagara Falls and the Finger Lakes of New York. These communities recognized the opportunity to provide a stronger travel product by combining their community assets under one umbrella. Visitors can explore the tranquility of rural living, unique museums and other attractions while meeting friendly people on their adventures. The collaborative program targets leisure and group travelers with a variety of marketing strategies and tactics. These include attending travel shows, creating consumer collateral, maintaining a website and creating programs to attract motorcoach and international travelers. Learn more about the Country Byways program on Episode 12 with Kelly Rapone & Episode 61 with Elissa Leuer on our podcast. Visit Buffalo Niagara and Niagara USA recognized a need to attract the Canadian visitor for a longer stay. These stays are better for the region than typical day trips when visitors spend money, but don’t stay the night. The two DMOs combined their resources to create a targeted campaign focusing on Canadian women ages 30-55 with disposable income who enjoy spending time with girlfriends. The 2015 Girlfriend Getaway campaign utilized a multi-faceted approach to promote shopping, theater, nightlife, dining, spa and leisure activities. It resulted in 46,000 visitor parties and 82,000 room nights. The Buffalo Niagara/Niagara USA Girlfriend Getaway campaign won a Destiny Award for Niche Targeting at US Travel’s ESTO event in 2017. Listen to Episode 66 with Julie Gilbert, Episode 50 with Ed Healy and Episode 14 with Ralph Thompson on our podcast to hear more about this campaign. Travel Alliance Partners (TAP) is a collaborative organization owned by 29 tour operators in North America. The organization started nearly 20 years ago with the goal of cross-selling each other’s tours and travel products. They also work collectively on marketing and building relationships with industry suppliers and sellers. By joining together they use their vast experience to create new and exciting tours that meet ever-changing travel tastes. From safaris, rail journeys and motorcoach adventures to cruises, sporting events and special events. Wherever travelers want to go and however they like to get there, they can find it on the TAP website. Collaborative marketing strategies include the annual travel catalog, hosting the annual TAP Dance trade show, and hosting weekly webinars showcasing different tours. They also maintain a website connecting partners’ products to each other’s websites and offers travel agents the ability to connect. For more examples, check out my blog on Inspired Collaborations. You will find ten strategies for successful collaborations on my solocast Episode 19 of Destination on the Left.